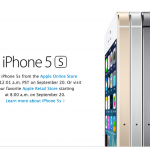 Reserve iPhone 5s or iPhone 5c online beginning September 17 for pickup at an Apple Retail Store on September 20. * When you come in, we’ll help you pick the right rate plan, transfer your contacts, set up your email, and more. Other Apple Retail Stores throughout China are offering the same system. 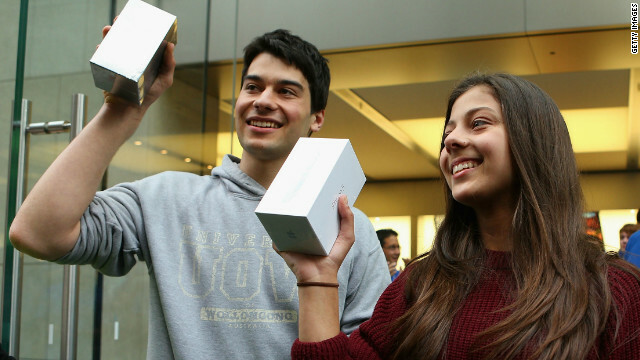 In the past, Apple has faced serious problems with "scalpers" in China (professionals who stand in line, purchase an iDevice, and sell it on at an inflated price), and this culminated some years back with a chaotic iPhone 4S launch in the country. Apple then responded by launching a reservation system for next-generation iDevices, which helped the Cupertino, Calif. company launch the third-generation iPad without having to call in a SWAT team. China has been a serious interest of Apple's for some time, and as the world's most populous nation it has the potential to be a major market for the company's iDevices. Though the iPhone 5c proved disappointing for China, due mainly to the inflated price of the "low-cost" handset, it's hoped that Apple can improve on its meagre share of the country's smartphone market through introducing its iPhone 5s and iPhone 5c using the aforementioned system. It's just a shame that something similar isn't available for Apple's other launch countries. As a reminder, preorders for the iPhone 5c launched yesterday, and though the yellow model (32GB, unlocked) eventually sold out, certain colors and configurations are still being advertised online with a delivery date of Sept. 20. Here's hoping stock for the iPhone 5s is equally abundant. See also: Acclaimed Calculator App PCalc Adds Full iOS 7 Support With New 3.0 Update, Deal Of The Day: Amazon Local Goes Universal With iPad Support And New Design, and Today's Best Apps: Chipotle Scarecrow And Pro Strategy Football 2013.